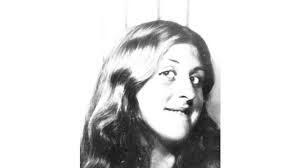 SALT LAKE CITY, UTAH – 29 June 2017 – On December 4th, 1977 Sharon Schollmeyers was a 16 year old girl living in an apartment in downtown Salt Lake City, Utah. Unfortunately, there was a murderous stalker who was dangerously close and it proved to be deadly for her. According to court documents the next day Sharon was found by her mother naked in her bathtub in 6 inches of water with a halter-top as a gag in her mouth and a scarf around her head as a blindfold. She had been strangled, suffocated and her death was ruled a homicide. In the 1977 police report, the building manager, Patrick McCabe, let the victim’s mother into the apartment and waited in the living room as the mother searched for her daughter. When the victim was discovered McCabe made the 911 call to report the incident. Unfortunately, despite a thorough investigation, the case went cold. However, the investigators were astute enough to properly preserve the evidence which would, as new technology became available, provide the DNA profile that would ultimately lead to the arrest. Amazingly, the building manager that had made the original 911 call was the same man that had raped and murdered the victim. According to the court documents, the case evidence was submitted to a private crime lab in Salt Lake City, Sorenson Forensics, for M-Vac DNA testing, including the halter-top that was used to gag the victim. 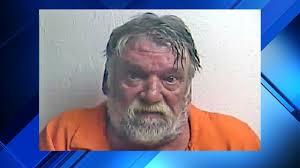 Despite almost 40 years after the heinous crime had been committed, the aggressive collection method produced a full DNA profile that could be loaded into the federal DNA database, and the match to Patrick McCabe was made. McCabe has since been convicted of 2nd degree murder and aggravated burglary and faces up to life in prison. The M-Vac System is being utilized by an increasing number of police agencies and crime labs both in the United States and internationally. As investigators are assigned difficult cases, having a tool like the M-Vac immediately available helps immensely. It can collect critical DNA evidence from a variety of surfaces at the crime scene, in the evidence processing facility or in the crime lab. As the world’s most advanced wet-vacuum forensic DNA collection system, the M-Vac opens up cases and evidence to potential DNA profiles that were not available in the past. M-Vac Systems is the world’s leader in wet-vacuum forensic DNA collection. Made in the USA and engineered for maximum collection capabilities, M-Vac Systems’ technology is the most innovative and capable forensic DNA material collection tool available for crime scene investigators, forensic scientists, sexual assault nurse examiners and other law enforcement specialists. For a more detailed description of the product and validation data, visit why mvac. Additional information and sales quotes can be obtained by contacting M-Vac Systems by phone or through the website. By mvacjb2014 in Uncategorized on June 29, 2017 .